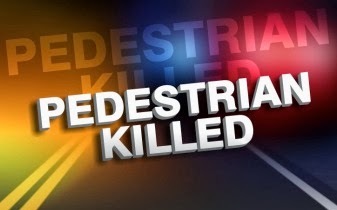 On January 9, 2015 at 10:27 p.m., the Galloway Township Police Department responded to a vehicle vs pedestrian motor vehicle accident in the area of Rt 30 and 8th Avenue. Upon arrival officers discovered James Osler 52, of Galloway lying in the middle of the west bound roadway. Osler was struck by an unknown vehicle that fled the scene. He was then struck by other vehicles while down in the roadway. Those drivers stopped and called 911. Osler was pronounced deceased on scene a short time later. Rt 30 between 8th Avenue and 7th Avenue was shut down for approximately three hours while the scene was investigated. The case is being investigated by Sgt. Richard Barber, Ofc. Steve Garrison, and Det. Bryan Casey of the Galloway Twp. Police Fatal Accident Unit. Anyone having information is asked to contact the above officers at (609) 652-3705. Assisting Agencies were GT Ambulance Squad, Atlantic County Prosecutors Office, and the New Jersey Department of Transportation.